Joint captain Darren Hickey sprays champagne over team mates following the win over Clondegad in the Cusack Cup final in Kilmihil. Photograph by John Kelly. 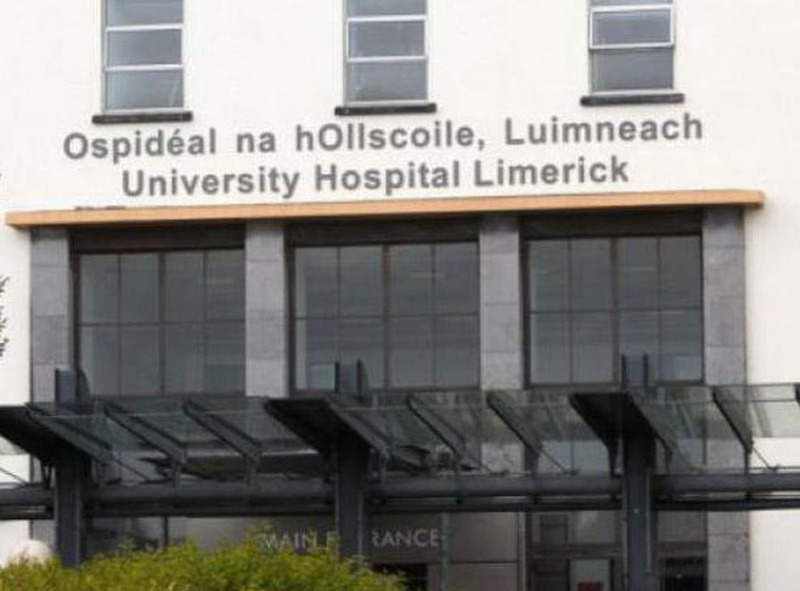 In scoring a two point win over Clondegad in the final of the Clare Champion sponsored Cusack cup at Kilmihil on Sunday, Kilmurry-Ibrickane made Clare football history as they became the first club to win the title for the fifth time in succession. Brian Carrig of Clondegad in action against Thomas O Connor and Darren Hickey of Kilmurry Ibrickane during their Cusack Cup final in Kilmihil. 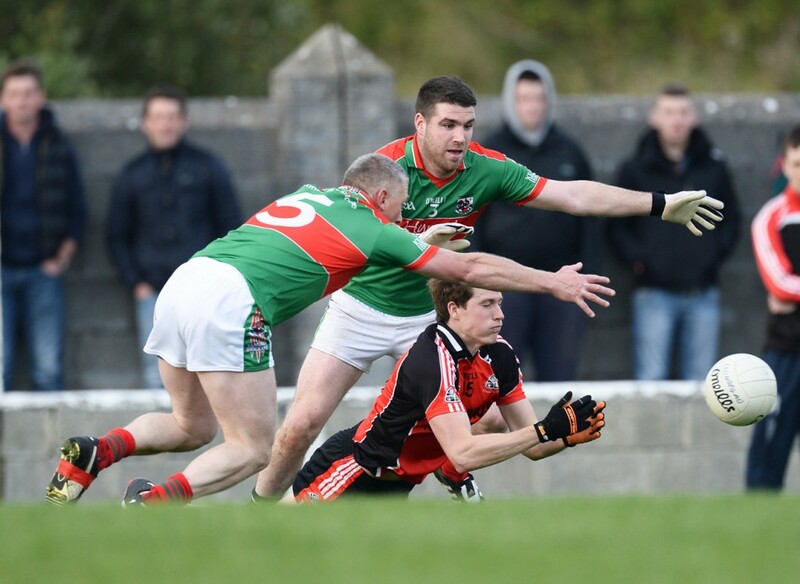 For long periods it looked as if they would have to come back another day to decide the outcome before the Kilmurry men managed to edge ahead in extra time to win by two points, 1-16 to 1-14. They were locked together at 1-12 each at the end of normal time. 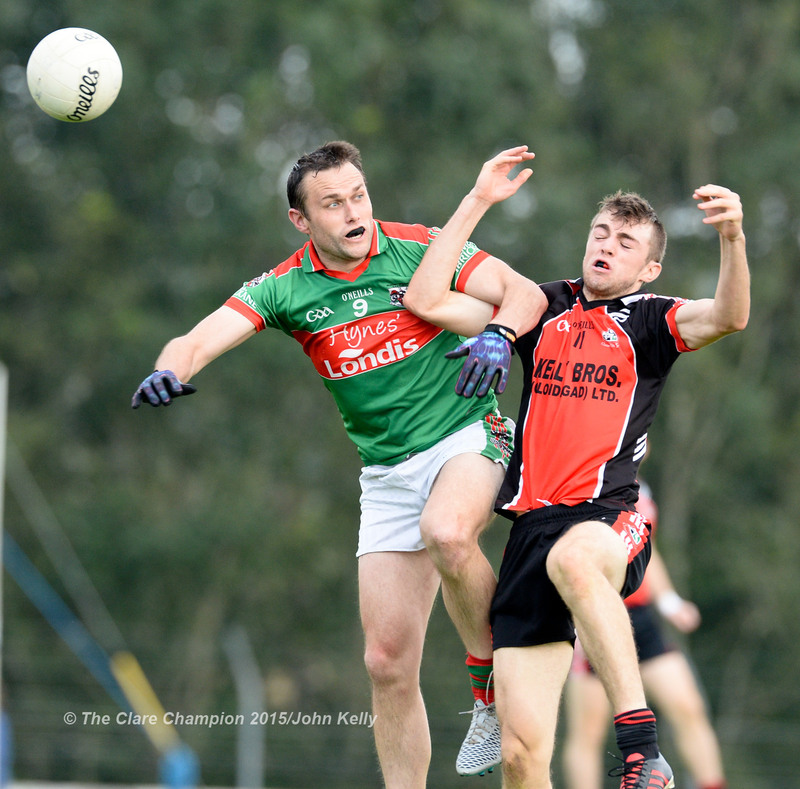 Clondegad went into the game chasing a first success in this competition, the Clare senior football league, and they certainly made their more experienced opponents fight all the way. 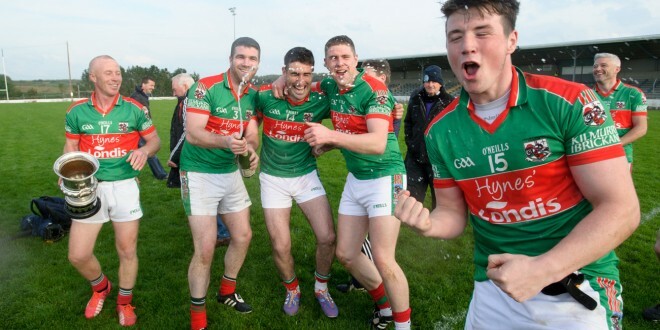 It was Kilmurry’s second title in a week as they were crowned senior B champions a week earlier. 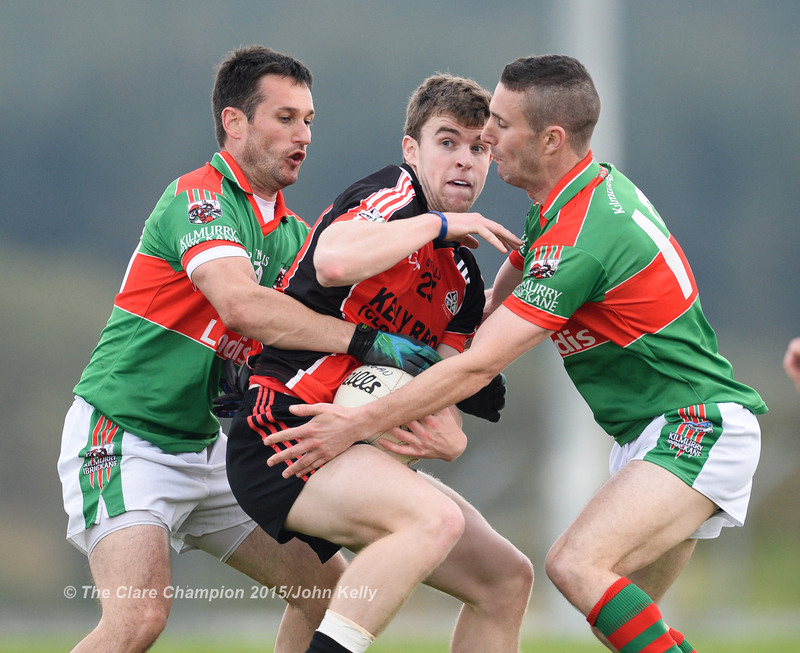 Clondegad’s juniors contested the division 4 league final on Saturday when they played out a draw with Eire Og. This week both Clondegad teams will be in final action again as the juniors face their neighbours Crusheen in the junior A championship final while the seniors take on Ennistymon in the O’Gorman cup final. 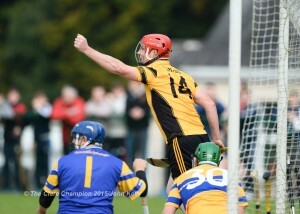 Alan O Connell of Clonlara celebrates his goal against Sixmilebridge during the Junior A final at Broadford. 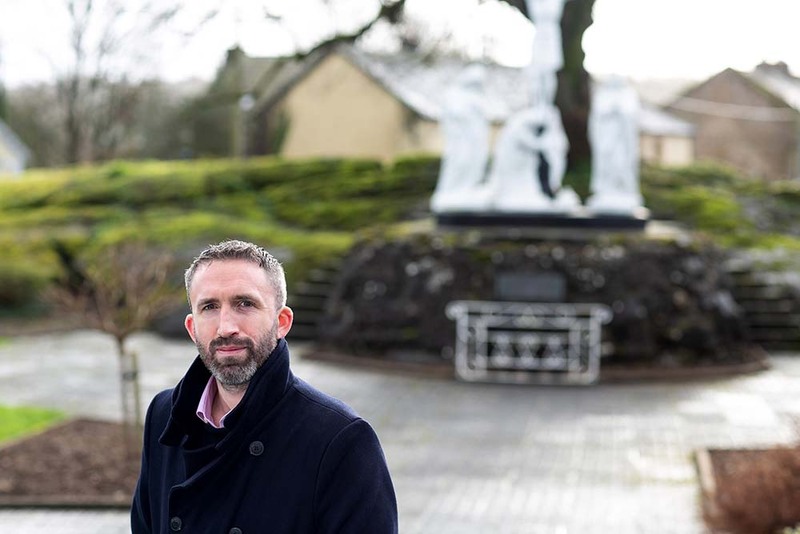 Broadford was the venue for the junior A hurling final in which Clonlara and Sixmilebridge were in opposition, seven days before the same clubs will contest the senior championship decider for the Canon Hamilton trophy. Broadford have the bragging rights this week after the manager a one point win, 1-10 to 0-12, on a day when they played all but the opening twenty minutes a man short after Kieran Murphy was sent off for an off the ball incident. 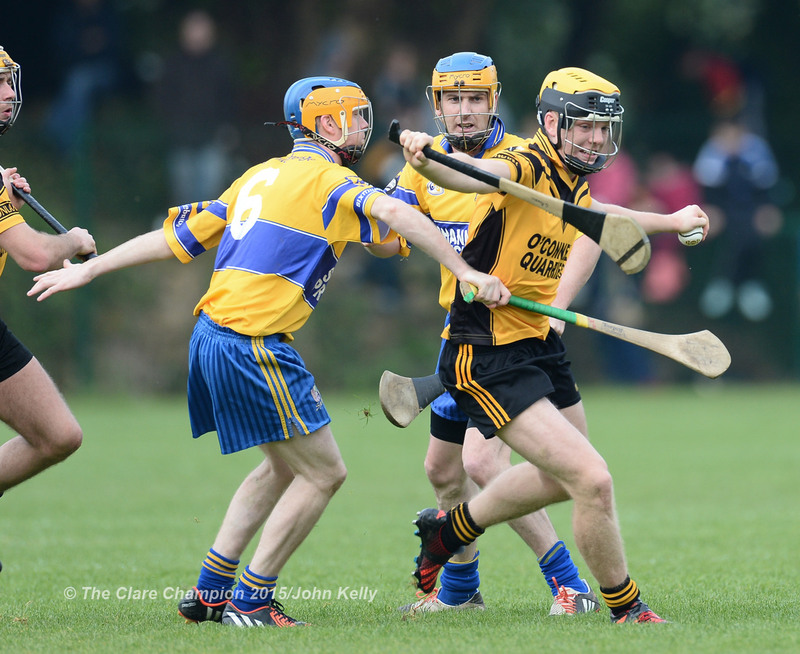 Elsewhere Crusheen and Kilmaley ended all square in the semi-final of the Clare Champin cup (senior hurling league) and they will renew rivalry next week as they chase a final date against Sixmilebridge,. Broadford are through to the junior B hurling final thanks to a 0-25 to 3-5 victory over Wolfe Tones. They must wait a while longer to learn who their opponents will be after Feakle and Tubber played a draw on Saturday. Meanwhile, the Broadford/Smith O’Briens minor amangamation secured a place in the minor A championship final against Wolfe Tones when they accounted for Inagh-Kilnamona. In camogie, Newmarket and Inagh-Kilnamona will contest the senior championship final, thanks to victories over Clooney-Quin and Kilmaley respectively. Tony Kelly of Clondegad in action against Michael O Dwyer and Shane Hickey of Kilmurry Ibrickane during their Cusack Cup final in Kilmihil. 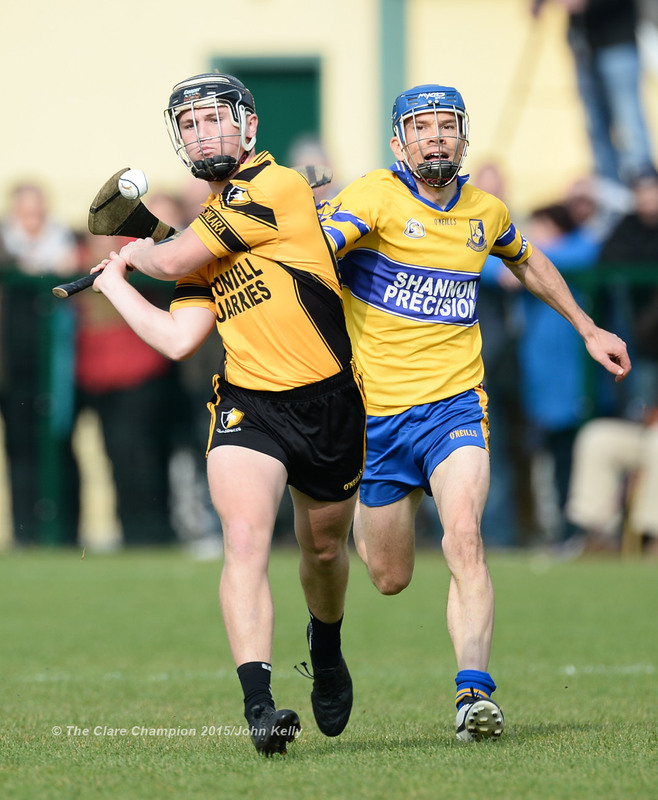 David Fitzgerald of Clonlara in action against Kieran Liddane of Sixmilebridge during the Junior A final at Broadford. Kieran Murphy of Clonlara in action against Adrian Chaplin of Sixmilebridge during the Junior A final at Broadford.